Smurfit Kappa is a FTSE 100 company and one of the leading providers of paper-based packaging in the world, with operations in 21 European countries and 12 countries in the Americas. 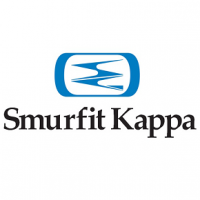 Smurfit Kappa is looking for a legal advisor for their Europe head office, situated in Schiphol. The main responsibilities of the legal advisor are legal document drafting, negotiating, and reviewing as well as advising on legal matters. The Legal Advisor has excellent analytical skills, is service minded and able to develop and maintain effective working relationships at different levels within the organization according to the specific cases in progress. To carry out supportive tasks whenever they arise. Willing to travel from time to time. Remuneration Package: Competitive and in line with market expectations. Would you like to use your legal knowledge and insights for this international company? Feel free to call us at +31 (0) 318 651535 for any questions or send your motivation letter and extended resume to nicole@internetwerving.nl. Smurfit Kappa Europe BV has outsourced the recruitment process to I-recruiting B.V. This means the first contact will be with a senior recruiter from I-recruiting BV. If your profile fits the job, your resume (including recommendation) will be forwarded to Smurfit Kappa Europe BV. They will do the follow-up interviews with you. When you fit the job, you will be directly employed by them.